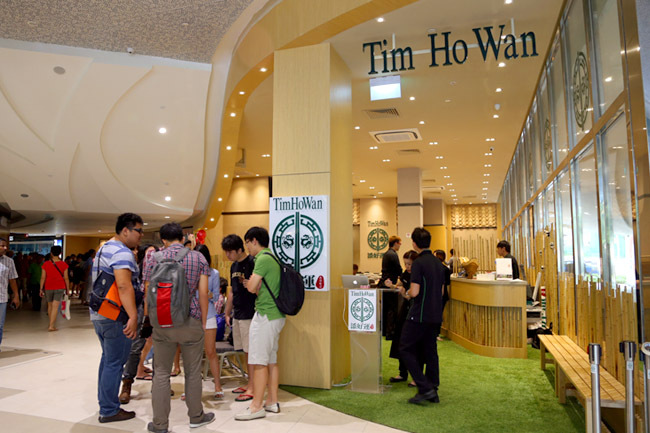 There are many reasons for Tim Ho Wan’s hype: Its famed Michelin star; Singaporeans are already familiar with the brand; it is known for a 2-hour queue over at its (just closed) Mongkok branch; and there are few mid-priced yet quality dim sum in Singapore. 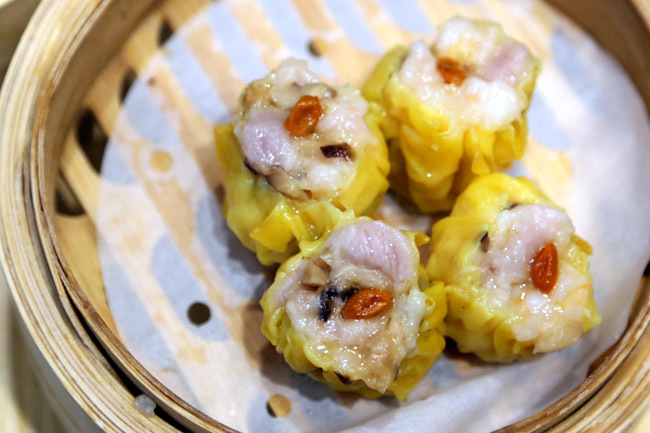 No offence, but if you have tried the better dim sum restaurants at Hong Kong, you would feel that many places in Singapore are serving nonsense – poorly made un-fresh dim sum which is really an insult to discerning consumers. Before 10am in the morning on its Singapore’s opening day, there were already about 100 plus people in the queue! The first 3 customers said they were surprised to be first in line when they came about 8:45am, “People were just waiting around but nobody sat down on the chairs. 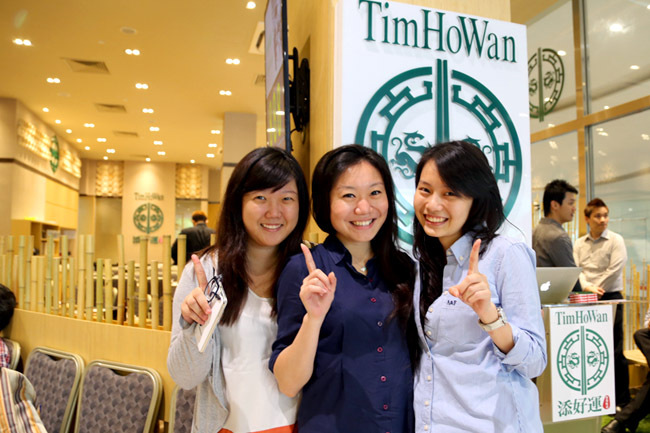 We were the first!” The SMU students are fans of Tim Ho Wan, and also wanted to check out what the hype was about. 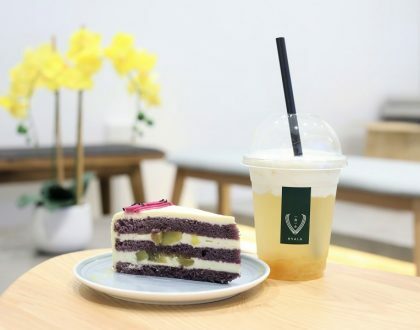 Do not leave Tim Ho Wang until you tried all its Big 4 Heavenly Kings, the Baked Bun with BBQ pork, Vermicelli Roll with Pig’s Liver, Pan Fried Carrot Cake and Steamed Egg Cake. Otherwise, the ‘chee cheong fun’ Vermicelli Roll with Pig’s Liver ($5.50) still remained as my second favourite, smooth and slides down your throat with an oomphness in the liver without the usual chewy texture. Plus it feels so good to eat this piping hot. My personal surprise item was the Steamed Egg Cake ($3.80), very similar to the Malay and Nonya kueh kueh, yet not overly heavy. The fluffy texture grows in you, like biting a soft cushion with a touch of caramelised sweetness. Some may be divided on the Pan fried Carrot Cake ($4.50 for 3 pieces). 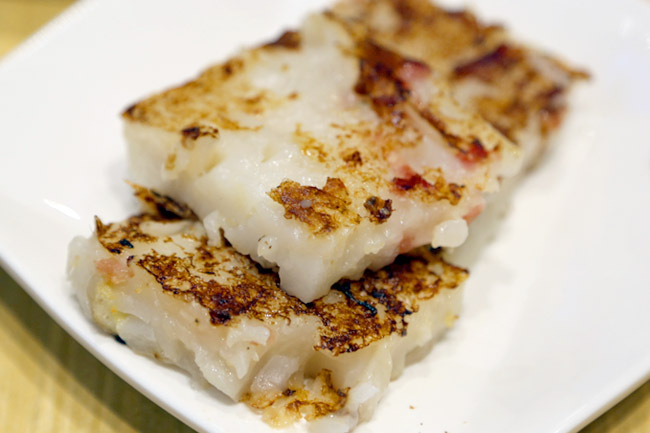 I like it for its whole pieces of radish that adds some bite, though there was a very slight hint of sourness that may throw fans off. 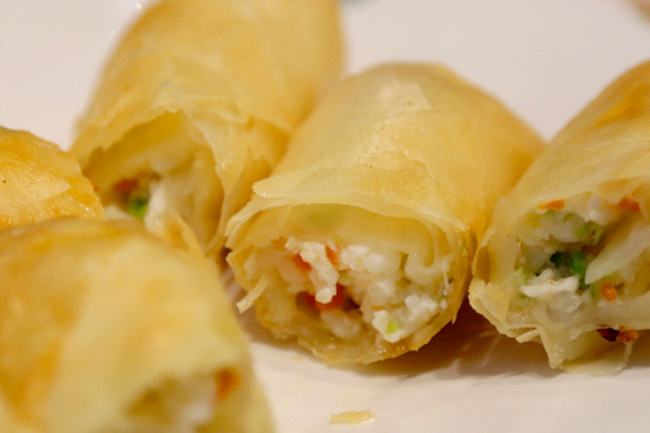 Though not part of the Big 4 Heavenly Kings, the Deep Fried Spring Roll with Egg White ($4.20 for 3 pieces) is one of the few which left a deep impression – golden hot rolls crisp on the outside, wrapping smooth tasty sweet-salty crab meat. Not the usual radish, and indeed packs a bolt of surprise. 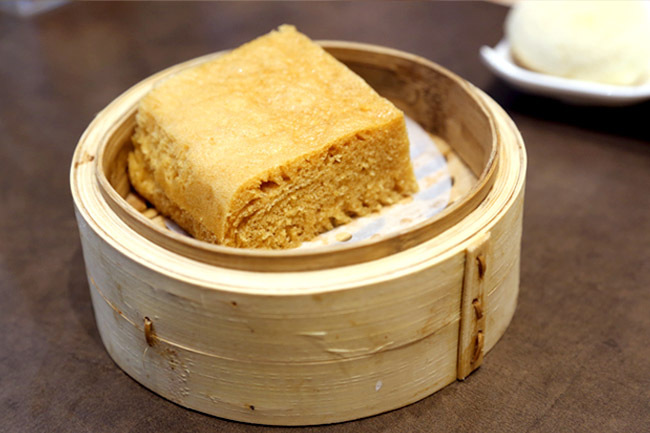 Tim Ho Wan helmed by Chef Mak Kwai Pui (more affectionately known as Pui-Gor) is formerly from 3-star Michelin restaurant Lung King Heen, known to many as the top dim sum place in Hong Kong. 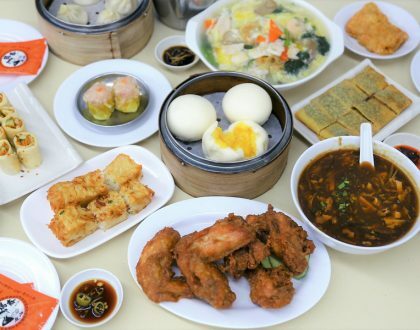 The 100-seater Singapore branch is headed by a former dim sum chef from Marriott Hotel’s Wan Hao Chinese Restaurant. 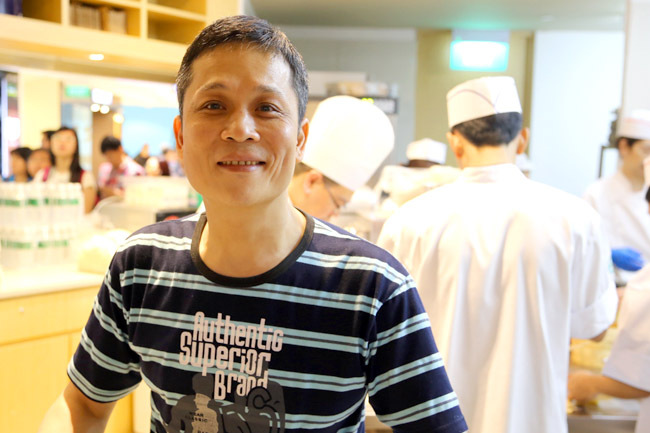 When asked what was his secret to delicious dim sum, Pui-Gor replied simply, “Serve only fresh dim sum. 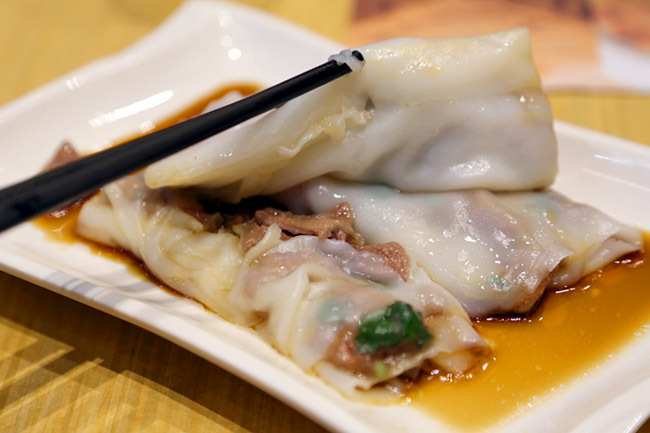 We make our dim sum only after the customers order.” Unlike some other restaurants he observed where dim sum are first made in central kitchens, refrigerated, and steamed upon ordering, Pui-Gor insisted on making every single piece fresh. No compromises. That is also why there is no less than 25 dim sum chefs in the kitchen! 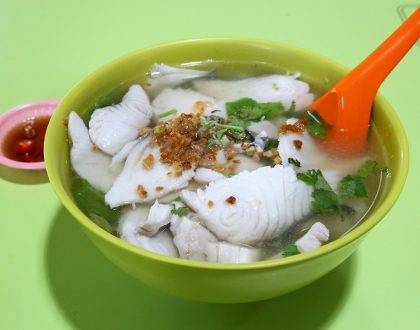 While my experience in Hong Kong landed up me saying “it was good, but not spectacular”, the branch in Singapore impresses for its price and quality. Yes, it is steeper when compared to Hong Kong prices, but it is hard to find appetizing dim sum for the price range of $4-5 per item in Singapore. 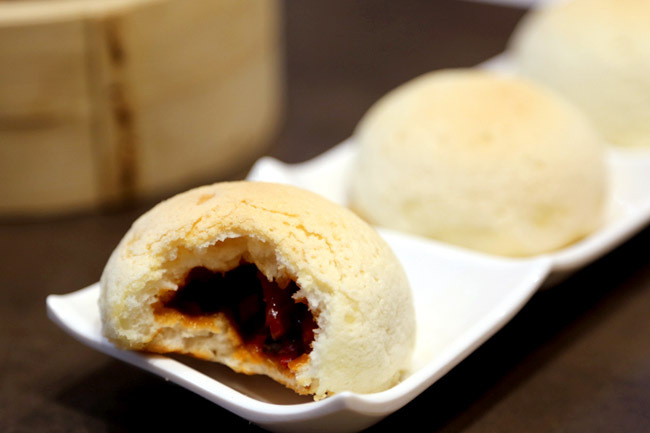 Tim Ho Wan is one of the unique case where not only their signatures excite, its other selections contain more hits than misses. 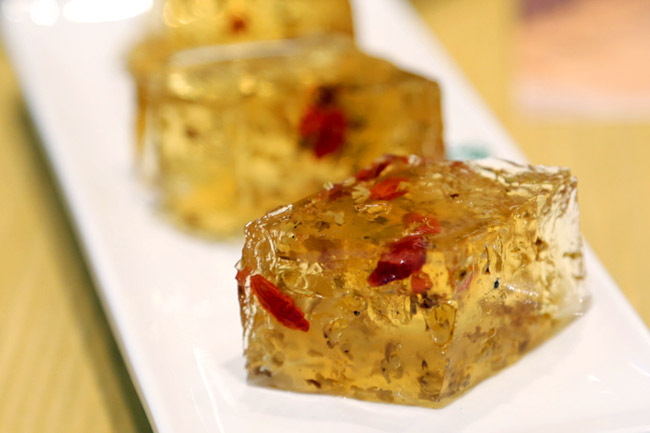 It is true, and a very basic princple – dim sum made fresh really taste so much better. Wow looks good. But I guess I will wait until the queues subside.